One of our long time clients, Lumbermen's, was experiencing an identity problem. They were well known with contractors and remodelers as a retailer for high-end fireplaces, quality stone and outdoor patio products, but with the general public Lumbermen's was not the first retailer that came to mind for home improvement needs. They wanted their clients, professionals and the public, to know what they sold by their name. Since Lumbermen's didn't largely deal in selling lumber, a name change was in order. So Lumbermen's became Fireplace Stone and Patio. To maintain some of the brand recognition from Lumbermen's, the Corporate Three Desgin creative team used a similar color palette, but created a new custom identity mark and custom type for the new logo. With the new logo approved, we integrated it into the Fireplace Stone and Patio site which we had previously built. "Corporate Three Design keeps the ball rolling on projects we assign to them; they are quick to respond and adapt well to our changing needs." After the new name and rebrand was in play, Fireplace Stone and Patio approached us to integrate an ecommerce system into their current site. We customized a Shopify site and imported their products to create the shopping cart system. 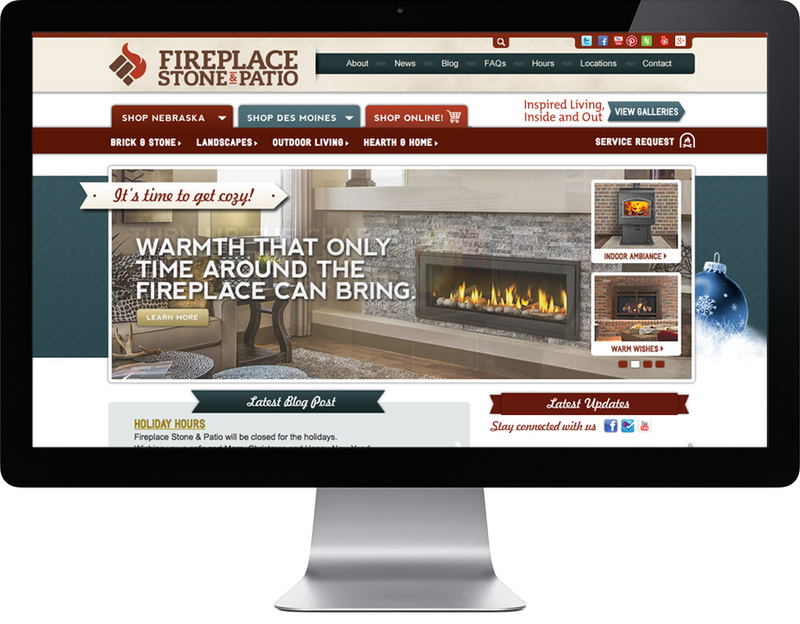 To help promote their offerings and new name, we worked with Fireplace Stone and Patio to strategize Google Ad Word campaigns. 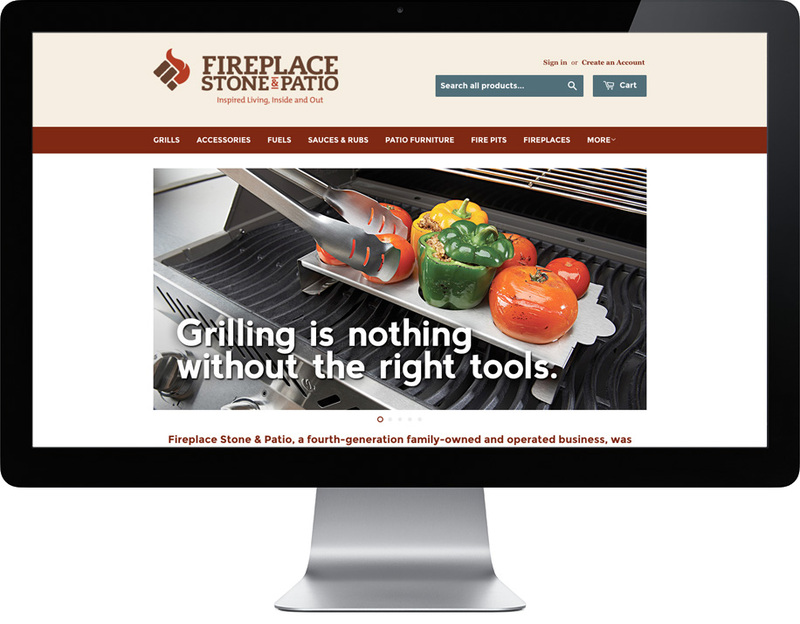 Renaming their organization, implementing an ecommerce system, and putting effort into search engine marketing has led to an increase in traffic to the Fireplace Stone and Patio website, a broader public awareness, and less brand confusion for the Omaha staple.